Modern M.D. 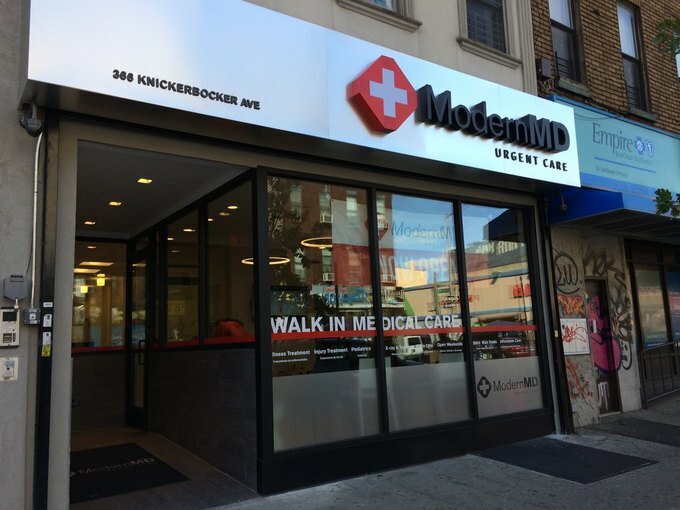 Urgent Care, a relative newcomer to Brooklyn’s urgent care market, will provide an X-ray service free of charge at all five locations (including their newest at 366 Knickerbocker Avenue in Bushwick), using their machines to search through Halloween candy bags for potential dangers like needles, paperclips and razorblades. Melissa Cohen, Vice President of Marketing and Business Growth at the company, said that current events both locally and nationally seem to have precipitated the demand from parents to know that their children will be safe this holiday. “There’s definitely been an increasing need for Halloween safety,” Cohen said, citing recent headlines like the yet-inexplicable phenomenon of random clown sightings across the country, along with concerns about synthetic marijuana – known as ‘K2,’ among other names – in Brooklyn. “While we can’t screen for drugs, we felt it would be one way in which we can contribute to making sure that the communities we operate within are staying safe on Halloween – one less thing to worry about,” Cohen said. 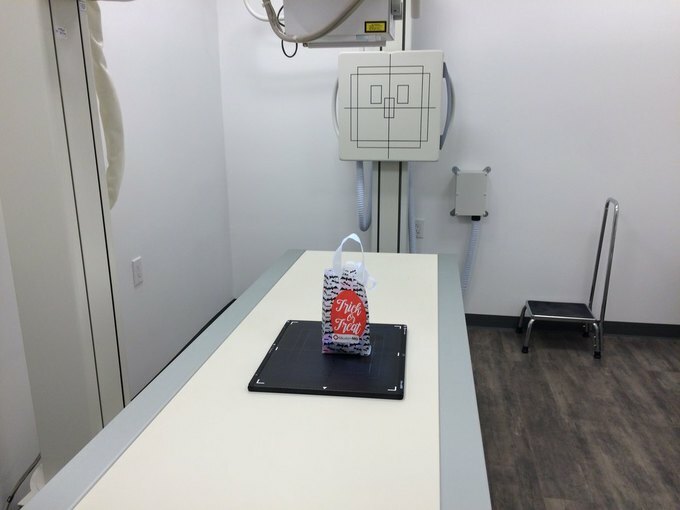 The whole process, from the X-ray itself to the analysis by a radiologic technician, takes less than five minutes, and won’t require an appointment in advance. 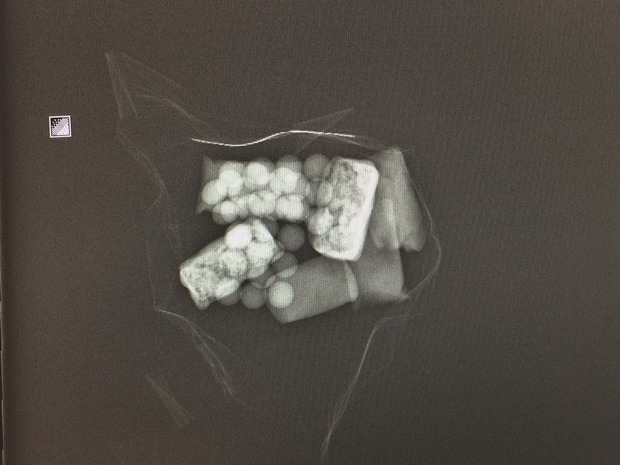 Incidents of maliciously tampered Halloween candy are exceedingly rare, but a general fear about the possibility of ingesting hazardous materials or chemicals has existed for decades. Reports by the New York Times in 1982 described an especially paranoid year in which multiple allegations of candy bars hiding needles and drugs, alongside a spate of Tylenol-related deaths in the weeks leading up to Halloween, led the New Jersey legislature to pass a bill imposing a six-month prison sentence on anyone convicted of giving out poisoned candy. Aside from providing some peace of mind for Brooklyn parents, Modern M.D. hopes to make itself a more visible healthcare alternative in areas that often have few options. Each of the five clinics is located in a part of Brooklyn designated by the federal government to be a “Health Professional Shortage Area,” meaning there are more than 3,500 residents per physician, according to Cohen. The clinics plan to offer candy and provide the X-ray service on Halloween from 2:30 p.m. until close at 9 p.m.
All photos by Kevin Breuninger for Bushwick Daily.